PARIS/HELSINKI (Reuters) – Shares in telecom network gear makers Nokia and Alcatel-Lucent jumped on Thursday after both posted strong second-quarter results, giving a positive signal ahead of their pending merger. 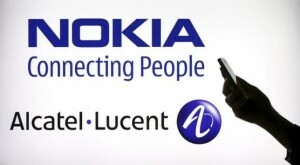 Nokia’s 15.6 billion euro ($17 billion) acquisition of Alcatel-Lucent announced in mid-April aims to position the company to better compete with market leader Ericsson and low-cost Chinese powerhouse Huawei, by forging a strong number two in mobile with a more complete product line. But with competition in the sector remaining intense and demand from telecom operators soft, some investors still have concerns about the marriage.